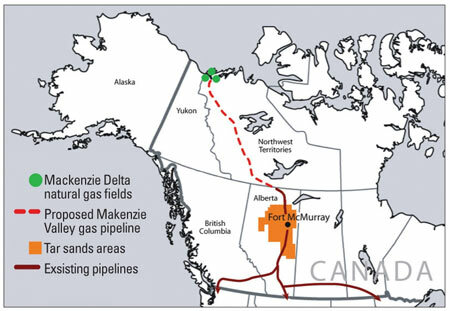 OTTAWA — The Green Party of Canada today is cautioning that the MacKenzie Valley pipeline got a flashing yellow- not a green light from the National Energy Board (NEB) review and it will now be up to legislators how or if the project goes forward. Imperial Oil is demanding even more government money than what it has already received before committing to begin construction of the pipeline by 2014. The latest assessment put the cost of the development at $16.2 billion, and its economic feasibility is already being questioned. “One of the most profitable companies on earth wants Canadian taxpayers to bail them out before they commit. Greens are firm that the existing nearly $3 billion/year spent on subsidies to fossil fuels must end, and we strongly oppose any new ones,” said Leader Elizabeth May. “The huge amount of money Imperial wants from the government is completely unjustified, especially where this kind of project does not create long term jobs. When money is put into this kind of project there is less for other important and less damaging sectors,” said Cathy MacLellan, Green Natural Resources and Energy Critic. The NEB has called for a re-assessment of the engineering to deal with expected temperature increases three times higher than global average warming. 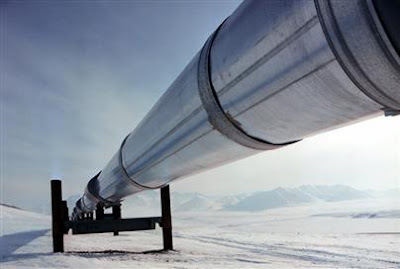 “If this project goes ahead, significant re-engineering will be needed to ensure the pipeline will be safe over the life of the project in a rapidly warming Arctic. Melting permafrost and 600+ water crossings means that the pipeline will undergo significant stress. Any failure of the pressurized pipeline will be disastrous for the Arctic,” said John Streicker, Green Arctic Affairs Critic. Greens are also calling on government to ensure that the pipeline gas displaces dirty fuels, not enables them. “If the project clears hurdles and ultimately goes ahead, the approvals should direct natural gas to clean uses– shutting down coal plants; not firing up tar sands expansion,” said May. The Harper government just signed onto COP16 agreements calling for industrialized countries to cut emissions 25-40% below 1990 levels by 2020.